With the signing of another six pre-salt concession contracts officials expect production to increase even further in coming years. SÃO PAULO, BRAZIL – As Brazilian officials celebrated extremely positive pre-salt production, President Michel Temer signed on Wednesday concession contracts for another six pre-salt areas auctioned in October of 2017, raising expectations that production in those areas will increase even further in the years to come. According to the National Petroleum Agency (ANP), the total oil production in Brazil in December of 2017 was of 3.325 million barrels of oil equivalent per day (boe/d), with 1,685 million boe/d (50.7 percent) coming from the pre-salt exploration areas. This is the first time in history that pre-salt areas are responsible for more than half of the country’s oil production. 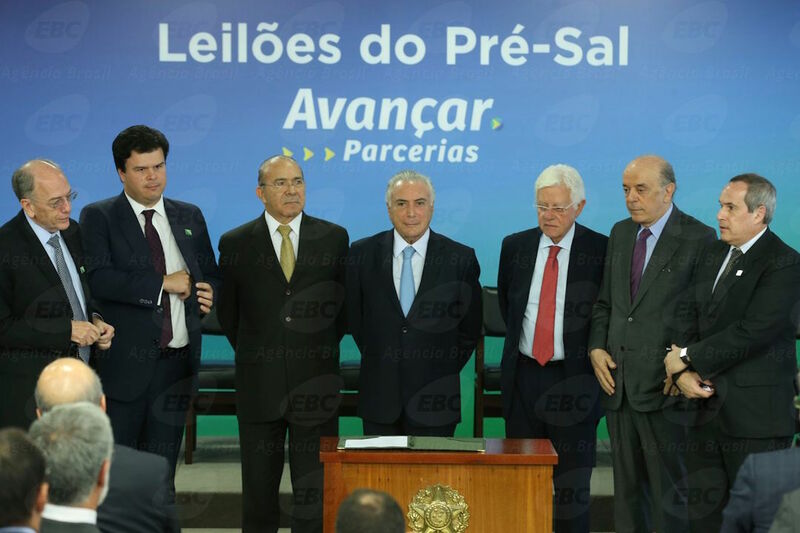 The pre-salt areas auctioned in October and signed on Wednesday generated US$1.9 billion (R$6.15 billion) in signing bonuses for the Brazilian government in addition to contemplating US$233 million (R$760 million) in investments from the winning companies in the next thirty years. “October auctions were the first of the pre-salt that recorded bonuses in favor of the Union. These are more resources for health, education, for the services that Brazilians need so much,” said President Temer on Wednesday during the signing ceremony. “The richness of the subsoil is being effectively placed in the service of the country’s development, naturally of the well-being of Brazilians,” concluded Temer. According to officials the auction of these pre-salt blocks is a reflection of regulatory changes in the area of oil and gas, with a law in 2016 that exempted Petrobras from participating in all pre-salt consortiums. Before the new law, the rules were that each and every oil and gas exploration in Brazil needed to have at least 30 percent of Petrobras’ participation. During Wednesday’s ceremony, Petrobras president Pedro Parente attributed the positive numbers at the 2017 auction to the end of the state’s monopoly on pre-salt exploration. “The significance of these signatures is to once again allow the country to benefit from an industry that was practically dying,” Parente told journalists. “If the previous law prevailed, it would be three contracts, so roughly, making a rough approximation, would be half the jobs, the orders of the national industry, the taxes, that is, a huge loss for the country,” concluded the executive. For 2018 the ANP estimates it will raise about R $ 3.5 billion in signing bonuses with oil auctions.